The Competitive Swimming Stroke & Skills Clinic is for competitive swimmers wishing to improve targeting strokes, starts and turns. Each clinic will have a specific theme and will teach, analyze and provide feedback to the participants. There are two water sessions for each day with some dryland time to provide further feedback. Each clinic will run from 7:30am to 10am, then start again at 1pm till 3pm. Participants will not be supervised and are on their own between 10am-1pm as there is no programming during this time. Pre-requisite: ability to swim 100m freestyle under 1:20 min and 200m individual medley under 3:30 min. Competitive Swimming Stroke & Skills Clinics are intended for competitive swimmers only (this is not a learn-to-swim program). 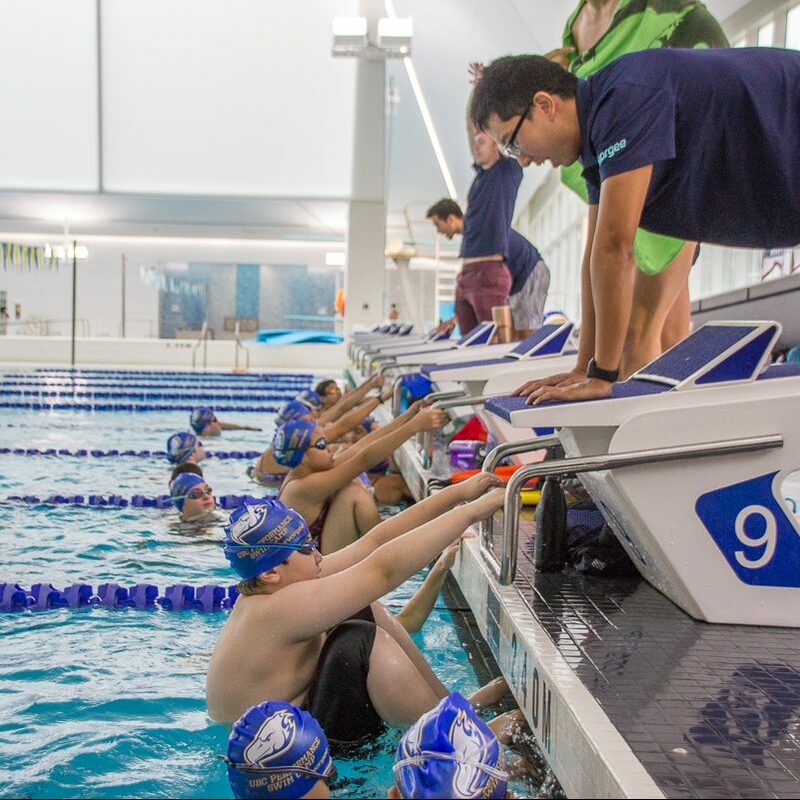 UBC Performance Swim Camp will include all facets of stroke mechanics and drills for all strokes, dives, starts and turns. The Camp will focus on the technical aspects of strokes, training, and physical conditioning. The Junior Lifeguard Camp is for youth interested in expanding their knowledge of lifeguarding and first aid in an aquatic setting.